Los Feliz, or LF, is a gorgeous, upscale neighborhood located on the south facing hills of Griffith Park up toward Griffith Observatory. Los Feliz is named for its original land grantee, Jose Vicente Feliz. The 6,647 acre Rancho Los Feliz was one of the first Spanish land grants in California in 1795. In 1896 Griffith J. Griffith, an immigrant who had made his fortune in Nevada mining, donated several thousand acres of the land to the city of Los Angeles making one of the largest city owned parks on the North American continent. Griffith really loved LA. He said "I consider it my obligation to make Los Angeles a happy, cleaner, and finer city. I wish to pay my debt of duty in this way to the community in which I have prospered." Along with the land, “Colonel” Griffith donated the money to construct The Greek Theater, LA's legendary hillside auditorium, and The Griffith Observatory, immortalized by many Hollywood movies including Rebel Without A Cause and Terminator. Los Feliz has always been home to movie stars, musicians, and Hollywood royalty. Cecil Demille was among the earliest of the Hollywood elite to live in the gated Laughlin Park area. He bought his neighbor Charlie Chaplin's house and connected the two mansions to make one of the most incredible estates in this part of Los Angeles. 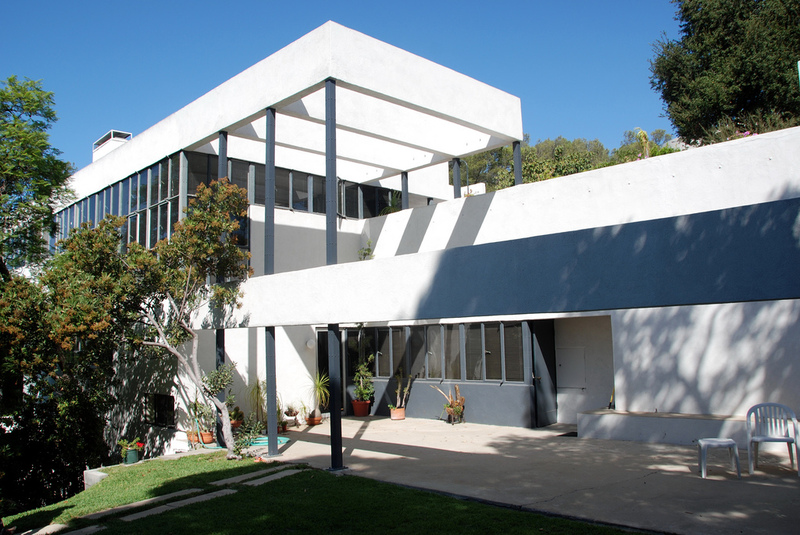 Los Feliz and neighboring Silver Lake boast some of the most famous houses by the best-known architects in California including two homes designed by Frank Lloyd Wright, plus the Ennis House, the Hollyhock House and Richard Neutra's Lovell House. Mickey Mouse was "born" in Los Feliz. Walt Disney drew the first image of his animation empire in the garage of his uncle's house located on Kingswell Avenue near Vermont. Disney's first animation studio was also located on Kingswell, just down the street and east of Vermont Avenue. Disney's second, larger studio (now the Gelson's supermarket) was located at the corner of Griffith Park Boulevard and Hyperion Avenue, right across the street from what is today the Silver Lake Trader Joe's. Los Feliz was also home to many other early studios, such as D.W. Griffith's Reliance/Majestic studios which he built when his visionary movie Birth Of A Nation went soaring over budget and the producers fired him. Reliance studios is now the sprawling complex known as The Prospect Studios . On Sunset Boulevard was Monogram Pictures where early Charlie Chaplin movies were filmed. Monogram is today the TV production headquarters of KCET. Los Feliz Village is the area bounded by Los Feliz Blvd, Vermont, Hollywood and Hillhurst. It is a vibrant, exciting neighborhood that has dozens of hip restaurants, boutiques, cafes, an art house movie theater and legendary nightlife. Celebrities like Moby, Adrien Grenier, Christina Ricci and Giovanni Ribisi all live, work and play in Los Feliz and are frequently seen there. This author lived in Los Feliz village for three years and loved it. Personal recommendations for great dining are Home or the Alcove on Hillhurst and the Public House or Cafe Figero on Vermont. Los Feliz village never fails to excite. The Houses in Los Feliz tend toward the majestic. There are numerous classic Hollywood mansions here and prices can get into the eight digit range in this zip code 90027. Most houses were built during the 1920s to 1940s and they exude character. Living in Los Feliz has always been a high status address and it continues to be a much desired neighborhood.